On Monday, the nation will honor the peaceful message and powerful legacy of Dr. Martin Luther King Jr. The remarkable man was many things—a Baptist minister, a great orator, an activist, a husband and father—but he was an influencer because he believed that there is strength in numbers and posessed the skills to organize and inspire—a feat all the more impressive in the pre-hashtag era. This week’s blog post breaks down two watershed moments in the fight for racial equality, made possible by Dr. King’s gift for civic engagement. Dr. King was born and raised in the Jim Crow governed South of the 1930s and ‘40s. His father was a reverend and the family’s relationship to the church and its parishoners undoubtedly shaped Dr. King’s peaceful, community-oriented approach to ending the racial inequality that restricted every aspect of African American life, from where African Americans could obtain housing, employment and educaton, to which water fountain or public bathroom they could use. Dr. King followed in his father’s footsteps and, at the age of 25, assumed the position of pastor at Dexter Avenue Baptist Church, in Montgomery, Alabama. From the pulpit,he applied Biblical teachings to contemporary issues and encouraged followers to counteract injustice with non-violent protest. Outside of the church, Dr. King was a leading member of several local civil rights activism groups. When 42 year old, African American woman, Rosa Parks, was arrested for refusing to give her seat on the bus to a white male passenger, Dr. King met with members of the Birmingham NAACP chapter to devise a plan of action.Members decided that the young, successful, articulate and well-educated, Dr. King, would be president of the Montgomery Bus Boycott. 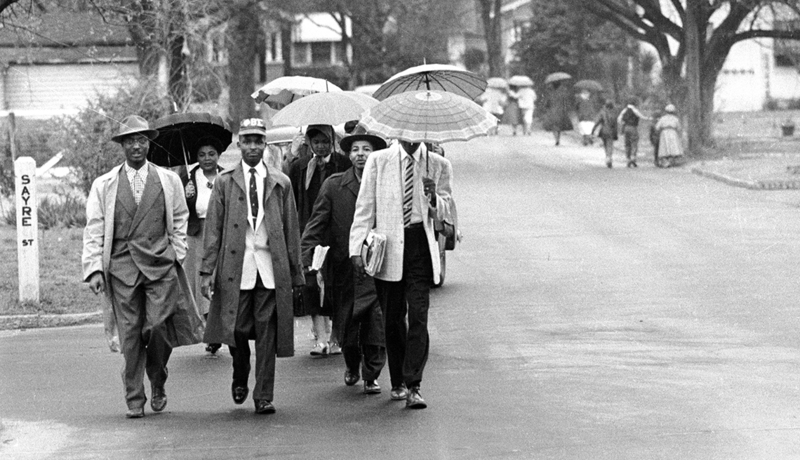 Using his influence as pastor and well-honed communication skills, Dr. King led Montgomery’s African American community through 385 days of walking to work, harrassment and violence—including an attack on Dr. King’s home. Dr. King’s arrest during this campaign culminated with a United States District Court ruling in Browder v. Gayle that ended racial segregation on all Montgomery buses. His role in the bus boycott propelled Dr. King to national attention—a level of recognition that he proved adept at leveraging and set the stage for his next great accomplishment. Bond is, of course, referring to the crisis at Little Rock Central High School. Three years after Brown v. Board of Education, which called for the desegregation of the nation’s schools, the NAACP enrolled nine African American students in the previously all-white high school. The plan was met with much resistance, most notably from Governer Orval Faubus, who called on the Arkansas National Guard to block the students from walking through the school entrance when classess commenced that September. The armed members of the National Guard were cheered on by a crowd of local segregationists, who hurled insults at and spit on the African American students. 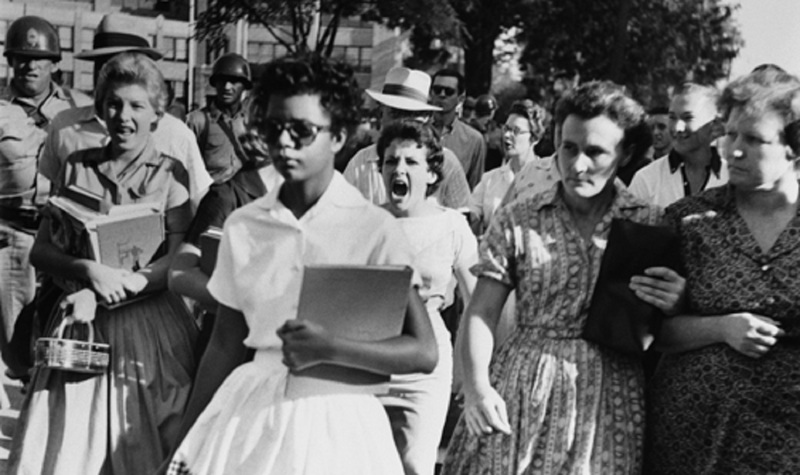 The image of angry, armed segregationists physically preventing African American teenagers from learning alongside white peers was splashed across newspapers throughout the country. The sight was polarizing in print, but even more impactful in the news clips that played in Americans’ livingrooms on television. “The Little Rock crisis was made for television. It had drama, tension, and the ever-present whiff of real and threatened violence, all concentrated into a manageable geographic area and relatively brief time frame,” Bond writes. In a case of good timing, the medium was rapidly gaining momentum. In 1946, less than 1 percent of American households had a TV. By 1962, that number had swelled to 90 percent.Television would carry Dr. King’s passionately delivered calls for action beyond the back rows of the church and he knew it. From their couches, Americans watched Dr. King rouse his allies to victory at Little Rock. The situation steadily escalated and only ended with President Dwight Eisenhower intervened, at Dr.King’s behest. 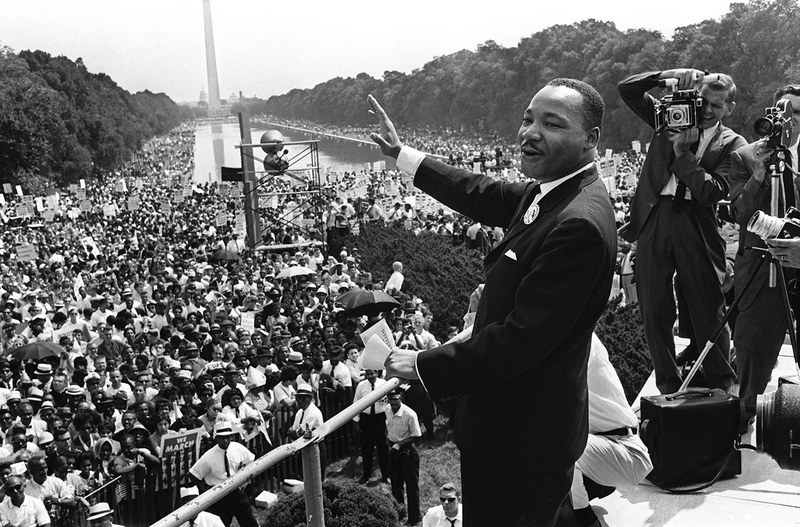 The civil rights movement’s victories in Montgomery and Little Rock paved the way for further progress, including the congregation of over 250,000 civil rights supporters for the 1963 March on Washington for Jobs and Freedom. While race relations in America are still far from perfect, the advancements that have been made are due in large part to Dr. King’s mastery of medium and message and overall excellence in inspiring civic engagement.